‘Pomegranate Punch’ is one of those WOW plants for 2014! 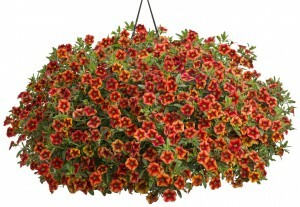 This new calibrachoa is rich, velvety red with a deep burgundy throat and yellow eye. 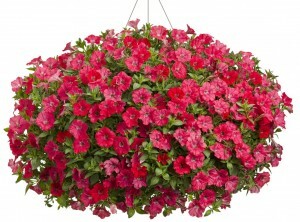 A very floriferous grower with a mounding habit makes it a perfect accent in hanging baskets and combination planters. It’s an absolute must-have this season! 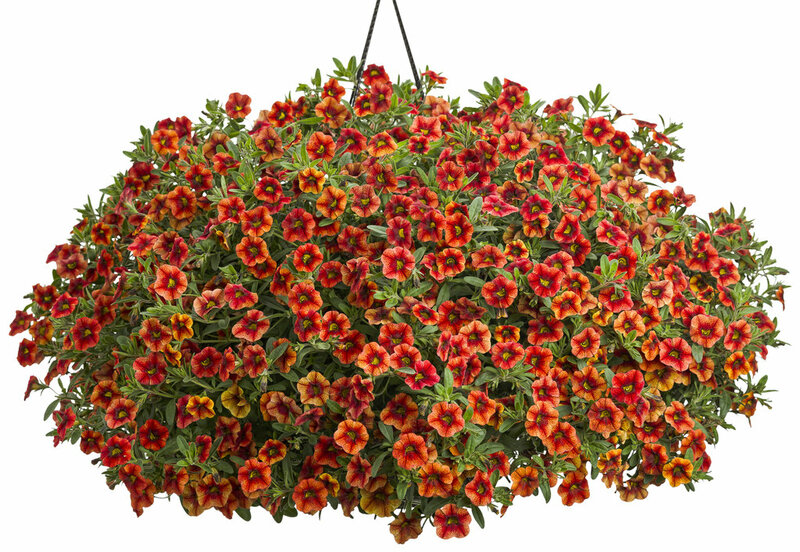 ‘Spicy’ Superbells® is a new calibrachoa for 2014. Add a little spice to your planters with this unique plant that changes colors throughout the season. The warm-toned blooms are always evolving, from orange and yellows in the summer, to more red and burgundy tones in cooler temps. Spicy delivers a wide coloration with a overall effect being a bronze orange mix. Back by overwhelming demand; ‘Lemon Slice’ is a Calibrachoa unlike any other. 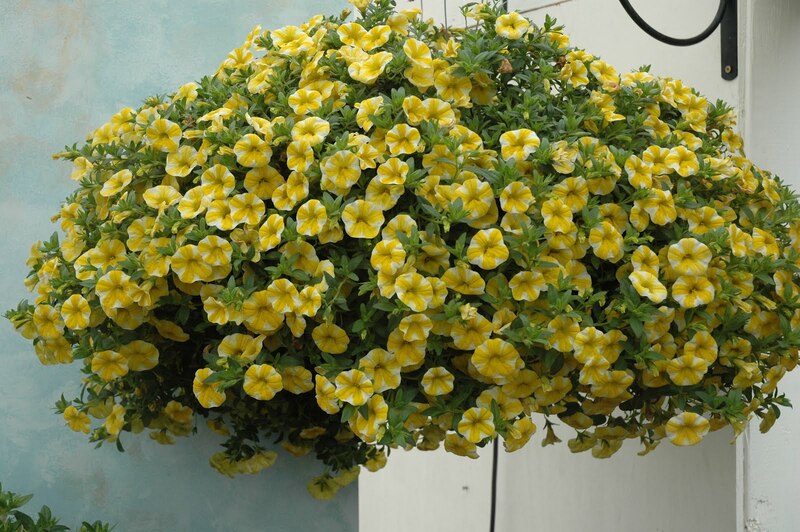 Lemon Slice brings the fresh clean color of a summer afternoon into your hanging baskets or planters! This merry combination of yellow and white stripes suggests beach umbrellas, girls’ summer dresses, and yes, lemon slices! It’s the brightest and most fun Superbells® yet! 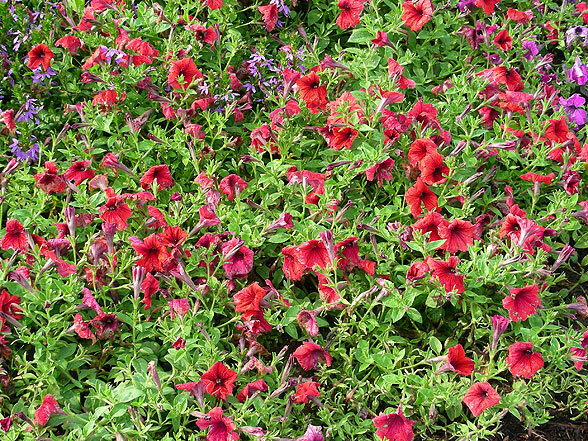 Watermelon Charm Supertunia® has charming deep pink to red flowers that will add a striking mass of color to your baskets and landscape beds. 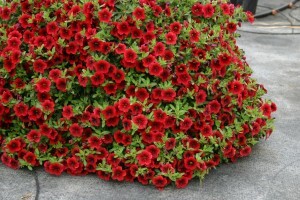 This petunia has a unique vibrant color, is a vigorous grower and can tolerate heat and humidity. 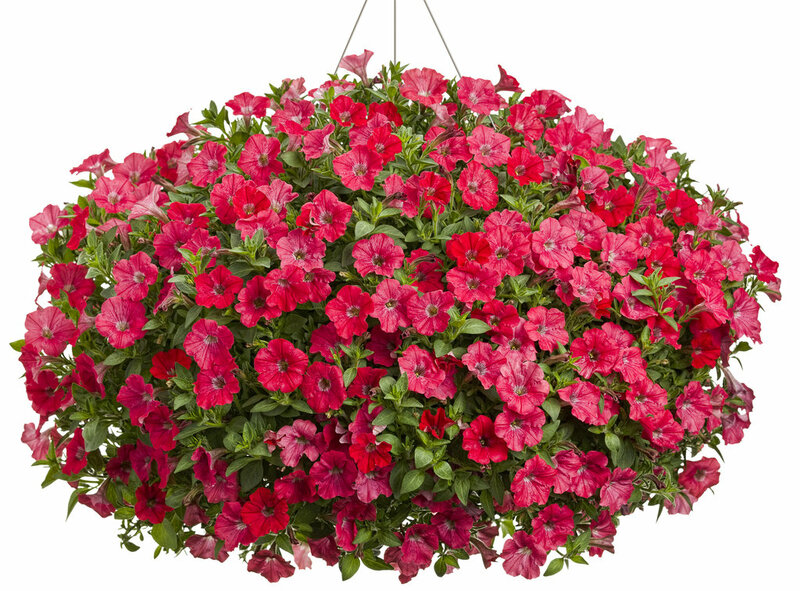 Supertunia® Flamingo has bright pink flowers with deep rose veining, that appear almost iridescent in the summer sun. 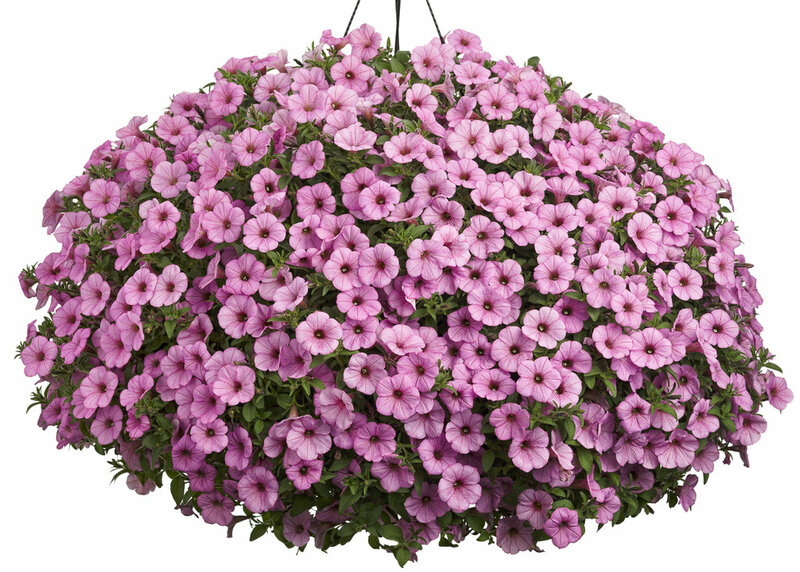 This is an aggressive, quick growing petunia that blooms from top to tip all season long. Does well in containers or in the landscape. 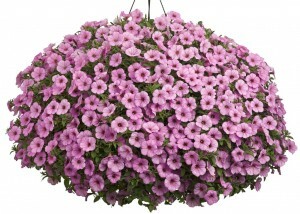 Introducing new color breakthroughs in petunias! There is no color like this in the petunia family. If you’re looking for an ‘orange’ petunia, you’ll want to try these selections. Glow Forest Fire Petunia seems to glow a pink-coral-orange color. We tried this unique colored plant in limited supply last spring and they flew out the door! 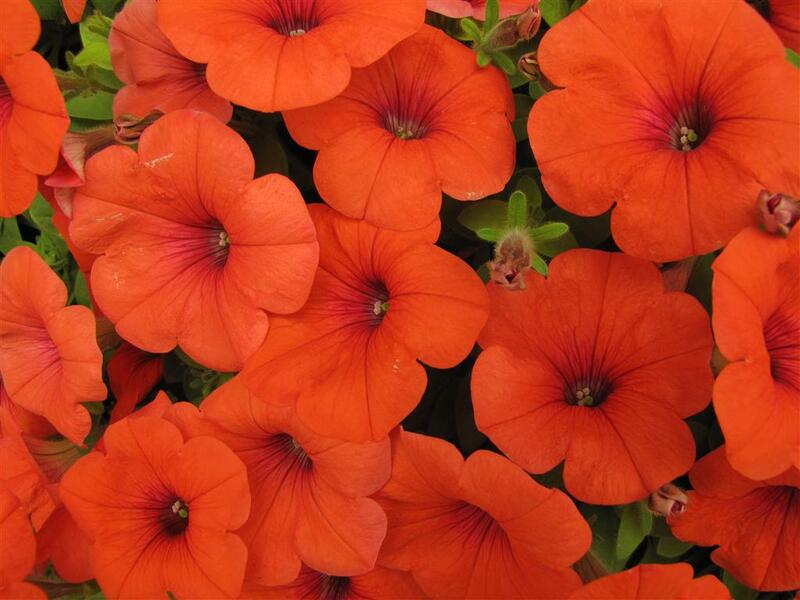 Hells Bells Petunia is another improved orange colored petunia with a contrasting darker throat, giving it an orange to coral effect. 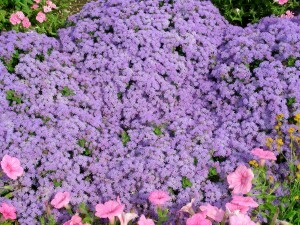 Both varieties have a cascading habit and are reliable early bloomers. White Knight has the same continuous masses of white flowers and fragrance as Snow Princess, but with half the vigor, making it a better companion with less-vigorous plants. This sweet alyssum forms a beautiful mound of tiny, fragrant white flowers perfect for any pot. Blooms all summer. 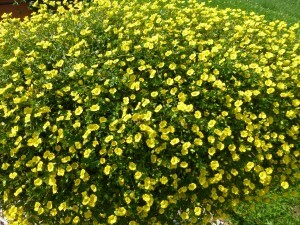 Mecardonia ‘GoldDust’ is a real novelty which differs from the ‘ordinary’ plant. 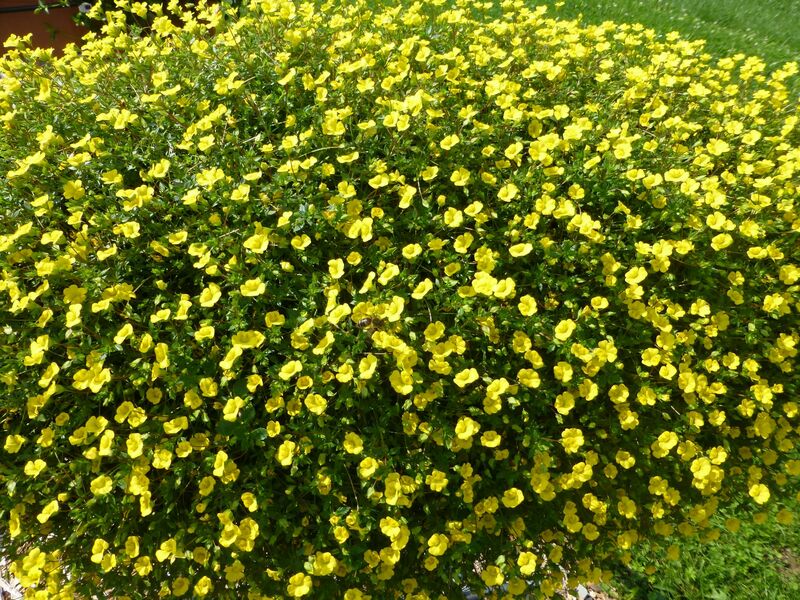 It has a healthy, trailing habit and a profusion of small yellow flowers set against bright green foliage. 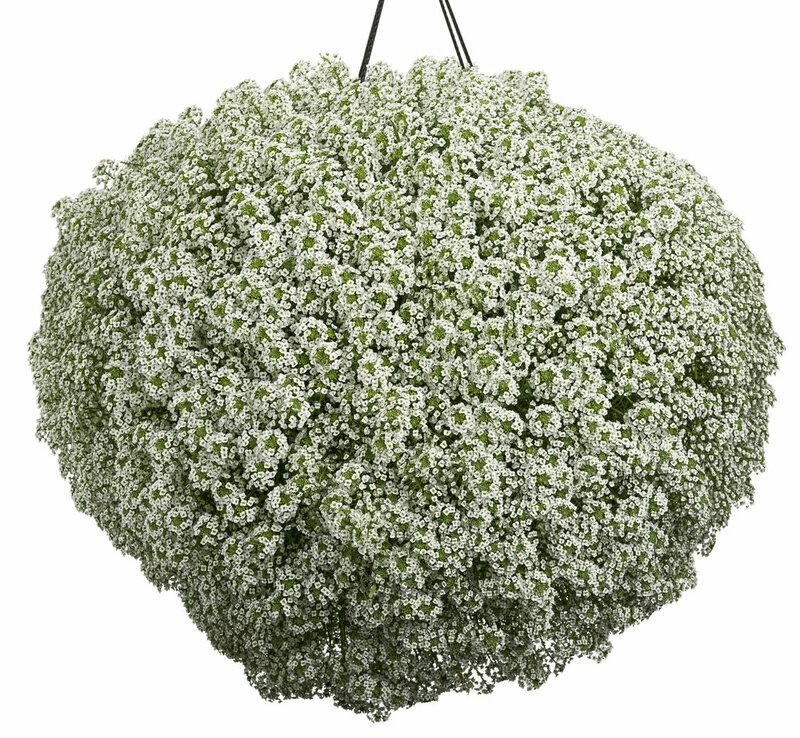 It is perfect for hanging baskets and planters where it will form a round, golden cloud of self-cleaning tiny flowers throughout the summer heat. Back by popular demand, these stunning, sky-blue flowers over silver-toned foliage might make you think you’re dreaming, but be assured-they’re real! An excellent plant because of its drought, heat and humidity tolerance. 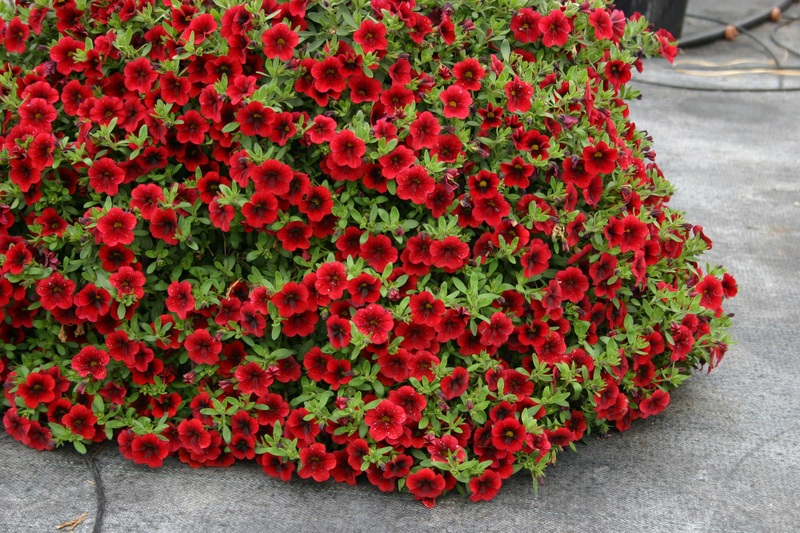 Don’t get in a big hurry to plant too early in the spring, this keeper needs long days and warm temps to flourish! 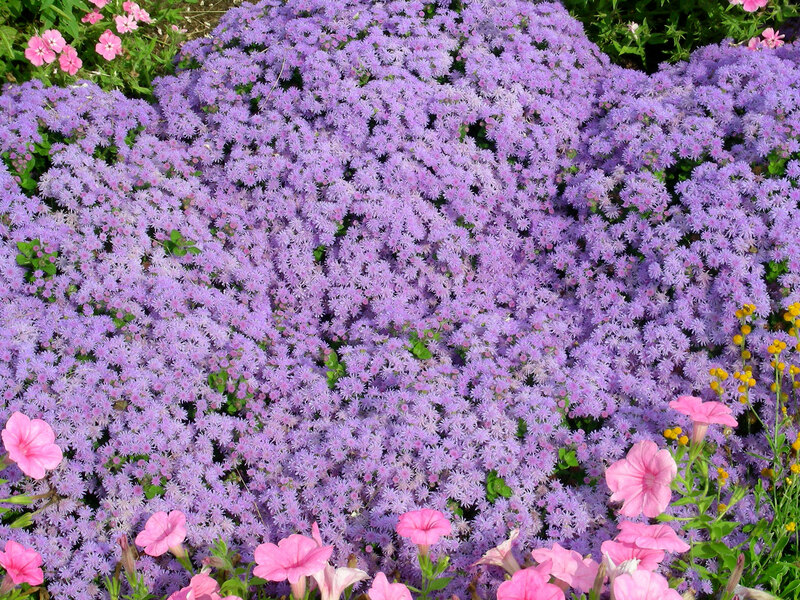 Whirlwind Blue has fade-proof purple-blue flowers and is both drought and heat tolerant, blooming all summer. Don’t be fooled by their delicate, lacy flowers and graceful mounding habit, these tuff heat lovers are native to the Australian bush country. Named ‘fan flower’ for the unusually ‘fan shaped’ flowers. 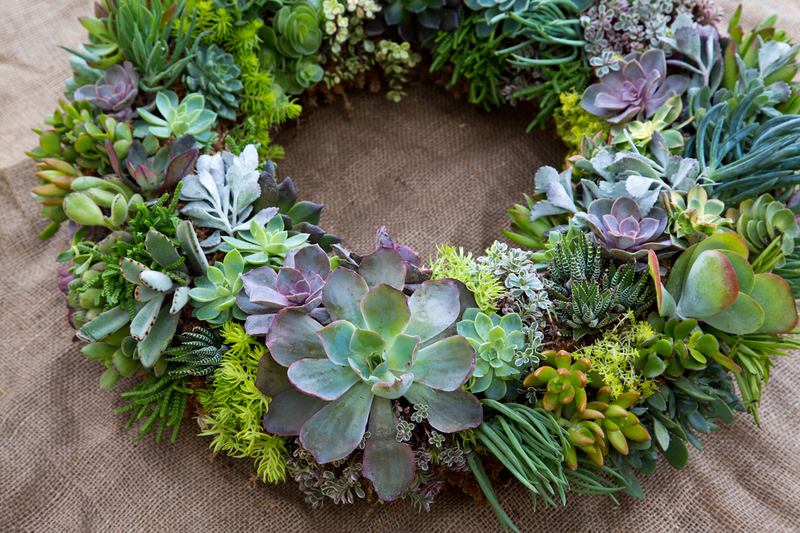 With a seemingly endless variety of stunning shapes, vibrant colors and otherworldly textures, succulents allow even the most gardening-challenged to look like artistic garden designers. Their sculptured nature lends itself to mixing & matching for a nearly foolproof choice for decorative containers. 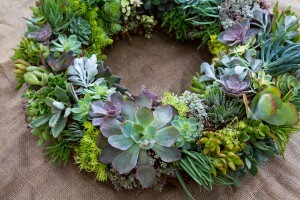 Succulents can transform brown thumbs to green, because of their minimal care & forgiving nature. 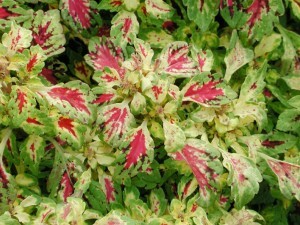 Easy going, eye catching plants with stunning foliage color & patterns. Low maintenance, high impact plants complement any container or landscape planting. Coleus are tolerant of sun or shade and are among the fastest-selling plants. Merlin’s Magic deeply lobed fantasy-type leaves are bright green and yellow with a purple border. Ferny effect that will land textural contrast to a planter. Aurora Raspberry narrow leaves of green splashed with raspberry red and yellow. 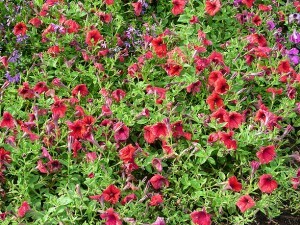 Compact mounding habit making them ideal for container plantings. Kiwi Fern favored for its unusual, airy quality, this coleus has narrow, frilly leaves that are dark purple and red with yellow highlights at the edge. Seldom has a plant drawn as many ‘ooohs’ & ‘ahhhs’ as ‘Fireworks’-it has explosive color that will brighten up any patio or container. This pink and white variegated grass has a strong upright arching habit but is a slower and more controlled grower than Purple Fountain Grass. 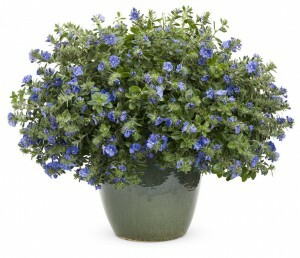 This plant is a great ‘thriller’ that will not take over in combination planters. 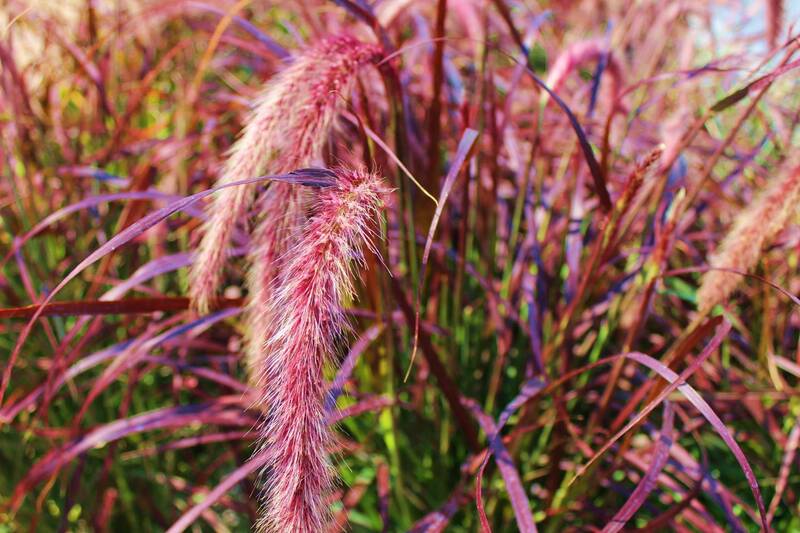 Over the past few years, grasses have become the rage of container gardening. Bold, variegated, burgundy-pink highlights make ‘Fireworks’ a must have for 2014!